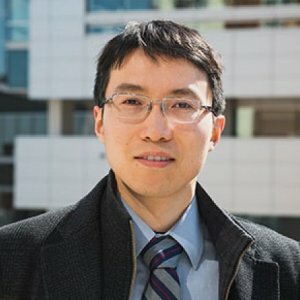 Dr. Jiang has designed advanced scalable processes and equipment to manufacture uniform crystals and particles with consistent controlled properties. 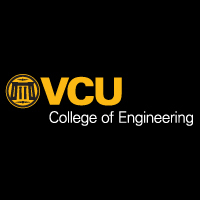 He has been at VCU since 2018. This graduate-level course builds upon foundations of chemical reaction engineering with a goal of educating students to apply contemporary tools for the analysis and design of modern chemical reactor systems. The course will provide a review of chemical reaction engineering principles before progressing to advanced topics. Advanced material in this course will include the development of mathematical models and computational implementation to simulate reacting systems and experimental approaches to determine reaction parameters and mechanisms. Additional materials will cover current approaches of industrial crystallization for production, purification, and formulation of solid chemicals. Real‐time release testing (RTRT) is defined as “the ability to evaluate and ensure the quality of in‐process and/or final drug product based on process data, which typically includes a valid combination of measured material attributes and process controls” (ICH Q8). This article discusses sensors (process analytical technology, PAT) and control strategies that enable RTRT for the spectrum of critical quality attributes (CQAs) in biopharmaceutical manufacturing. Case studies from the small‐molecule and biologic pharmaceutical industry are described to demonstrate how RTRT can be facilitated by integrated manufacturing and multivariable control strategies to ensure the quality of products. RTRT can enable increased assurance of product safety, efficacy, and quality—with improved productivity including faster release and potentially decreased costs—all of which improve the value to patients. To implement a complete RTRT solution, biologic drug manufacturers need to consider the special attributes of their industry, particularly sterility and the measurement of viral and microbial contamination. Continued advances in on‐line and in‐line sensor technologies are key for the biopharmaceutical manufacturing industry to achieve the potential of RTRT. Inspired from experimental progress in continuous crystallizer designs based on air/liquid slug flow that generate crystals of target sizes at high production rates and low capital costs, a mathematical model and procedure are derived for the design of slug-flow crystallizers with spatially varying temperature profiles. The method of moments is applied to a population balance model for the crystals, to track the spatial variation of characteristics of the crystal size distribution along the crystallizer length. Design variables for the cooling slug-flow crystallizer such as tubing lengths and types and numbers of heat exchangers are analyzed and optimized for product crystal quality (e.g., minimized secondary nucleation and impurity incorporation) and experimental equipment costs, while ensuring high yield. This study provides guidance to engineers in the design of slug-flow crystallizers including their associated heat exchanger systems. The discovery that crystal nuclei can be generated by combining hot and cold saturated solutions in a dual-impinging-jet (DIJ) mixer motivates the theoretical analysis in this article. Nucleation is shown to be facilitated in solute–solvent systems that have much higher energy transfer than mass transfer rates near the impingement plane between the two jets. One- and two-dimensional spatial distributions of velocity, temperature, concentration, and supersaturation provide an improved understanding of primary nucleation in cooling DIJ mixers. In the most important spatial region for characterization of nucleation, the two-dimensional fields are shown to be very close to analytical solutions derived from a one-dimensional approximation of the energy and molar balances. This simplification enables the derivation of design criteria that facilitates assessment of whether any particular solute–solvent combination will nucleate crystals in a cooling DIJ mixer, based on the physicochemical properties of the system. These criteria could save time and material by avoiding or reducing trial-and-error experiments, which is helpful at the early stage of pharmaceutical process development. Continuous-flow solution crystallization is an approach to manufacture pharmaceutical crystals with improved control of product characteristics, simplified postcrystallization operations, higher production rate flexibility, and reduced capital costs and footprint. An indirect ultrasonication-assisted nucleation process is designed to vary the seed generation rate during operation independent of mass flow rate, by varying the ultrasonication power. The ultrasonication probe is pressed against a tube to generate a spatially localized zone within the tube inside of a temperature bath for the generation of crystal nuclei without heating or contaminating the supersaturated solution. This nucleation design is integrated into a continuous slug-flow crystallization process to generate uniform-sized product crystals within each slug at a high supersaturation level and a short residence time of ∼8.5 min, without inducing significant secondary nucleation. By increasing size uniformity, the indirect ultrasonication-assisted slug-flow crystallizer has potential as a final crystallization step to produce crystals for direct compression tableting without having any possibility of metal contamination. Modification of crystal shape through deep temperature cycling Ind. Eng. Chem. Res. The evolution of particle shape is an important consideration in many industrial crystallizations. This article describes the design of temperature-cycling experiments (between alternating positive and negative supersaturations) to substantially change crystal shape with only a small number of cycles. The growth and dissolution of monosodium glutamate crystals of varying shapes were monitored using in-process attenuated total reflection–Fourier transform infrared spectroscopy (ATR-FTIR), focused beam reflectance measurement (FBRM), particle vision and measurement (PVM), and off-line optical microscopy. The growth and dissolution kinetics were estimated in a multidimensional population balance model based on solute concentration and crystal dimension measurements. This model fitted the experimental data with a limited number of parameters of small uncertainty. In addition, with the estimated kinetic parameters, the model predicted the crystal size and shape distribution in a different temperature-cycling experiment reasonably well. In contrast to previous studies that have estimated kinetics along multiple crystal axes in mixed-tank crystallizers, this study implements dissolution terms in the multidimensional population balance model along multiple axes. A novel continuous crystallizer design is described with the potential to provide improved control of crystal properties, improved process reproducibility, and reduced scale-up risk. Liquid and gas are introduced into one end of the tube at flow rates selected to spontaneously generate alternating slugs of liquid and gas that remain stable while cooling crystallization occurs in each liquid slug. Mixing within each stable self-circulating slug is maximized by controlling the slug aspect ratio through specification of liquid and gas flow rates. The crystallizer is designed so that nucleation and growth processes are decoupled to enhance the individual control of each phenomenon. Coaxial or radial mixers combine liquid streams to generate seed crystals immediately upstream of the growth zone where nucleation is minimized, and crystal growth is controlled by the varying temperature profile along the length of the tube. The slug-flow crystallizer design is experimentally demonstrated to generate large uniform crystals of l-asparagine monohydrate in less than 5 min. Towards achieving a flattop crystal size distribution by continuous seeding and controlled growth Chem. Eng. Sci. A semi-continuous crystallizer configuration that combines continuous seeding using a dual impinging jet with growth rate control in a stirred tank was experimentally demonstrated for the manufacture of l-asparagine monohydrate (LAM) crystals with the objective of obtaining a target flattop size distribution. The dual impinging jets combined hot and cold saturated solutions to generate highly uniform 20-μm crystals that were further grown to a desired size in the stirred tank with suppressed nucleation that was instrumented with attenuated total reflection–Fourier transform infrared (ATR–FTIR) spectroscopy and focused beam reflectance measurement (FBRM). The construction of calibration models and the measurement of solubility and metastable limit were obtained by an automated system that followed preset supersaturation profiles using feedback control. The experiments confirm that greatly enhanced control of the crystal size distribution can be achieved using continuous seeding.